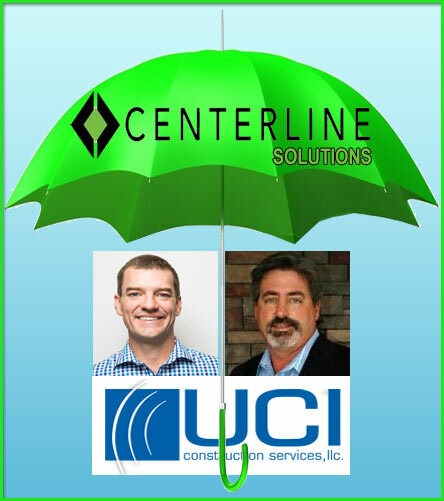 Colorado-based Centerline Solutions has added Florida’s UCI Construction Services into its operation — an acquisition that makes Centerline one of the leading wireless infrastructure services providers in the U.S.
UCI Construction Services is now under the umbrella of Centerline Solutions’ numerous acquisitions. Both Centerline CEO Benjamin Little (left) and UCI CEO Todd Schlemmer said their commitment to safety, training and quality align extremely well. The strategic partnership not only expands the company’s turnkey wireless services to a new geographic region of the United States, but also enhances Centerline’s construction capabilities through the addition of UCI’s highly-respected team and resources. Centerline, founded in 2000, has seen nearly triple-digit growth over the past three years, and its customers include all of the major wireless providers, equipment manufacturers, tower owners, government entities and private industries, according to a press statement. “UCI is known throughout the Southeast as a leading wireless construction company. 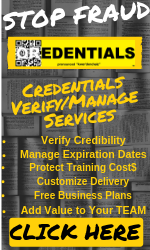 Their commitment to safety, training and quality align extremely well with Centerline’s philosophy,” said Benjamin Little, CEO of Centerline Solutions. UCI was founded in 1996. The acquisition of UCI Construction is Centerline’s eighth since its founding. Prior to UCI, Centerline Solutions’ largest acquisition was of Cascadia PM, a Washington-based leading provider of wireless project program management, in January 2015. Other acquisitions from the past 18 months include IDC Joint Venture (Hawaii, Aug. 2015), Wireless Limited (Colorado, May 2015) and KbarM Consulting (Idaho, Aug. 2014). The acquisition of UCI gives Centerline Solutions an additional 45 employees, bringing the company’s total to over 420—a workforce that allows Centerline to provide a comprehensive set of services and resources to meet any customer’s needs. The company has offices in Denver, CO; Phoenix, AZ; Olympia, WA; Portland, OR; Seattle, WA; Rochester, NY; Honolulu, HI; and now Tampa, FL. Centerline handles projects throughout North America, including Canada and Mexico, and the company has contributed to projects abroad in Malaysia, China and Australia, as well. In order to complete this transaction and prepare Centerline for future growth, the company has recapitalized with an equity investment from Concentric Equity Partners and a new credit facility led by Bank of the West’s Commercial Banking Group. Concentric has a specific objective to invest in Colorado-based companies, and the Centerline investment represents an important new strategic investment. All of the current investors in Centerline will maintain ownership interests and there will be no changes to the leadership team beyond the addition of UCI. Concentric purchased UCI on Dec. 12, 2014.